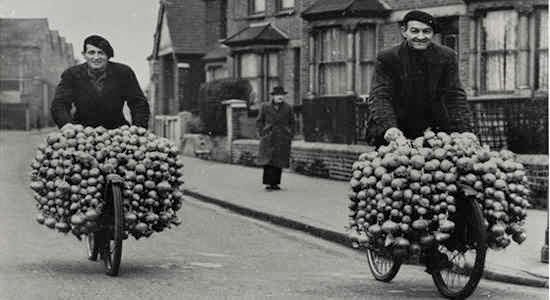 A few years ago I wrote a post regarding the French onion sellers who deliver their wares by bicycle. And a couple months ago I was asked to contribute recipes and photos to an article in a local magazine which was being written regarding this very same topic. At any rate, the article and recipes are online, unfortunately my photos only made it to the print version of the magazine. Anyhow, I thought I'd share both the photos and recipes here. In bowl large enough to hold the chicken breasts, combine three tablespoons of olive oil (reserving the other three tablespoons for cooking the breasts) along with the Herbs de Provence, kosher salt, cracked black pepper, and minced garlic. Whisk these ingredients together, then add the chicken breasts, turning them to coat evenly. Refrigerate for at least an hour. Preheat and oven to 350F. Heat a large skillet over medium-high heat with the remaining 3 tablespoons oil. When the pan is hot add the chicken breasts skin-side down. Cook the breasts for about five minutes, or until the skin is golden brown. Turn the breasts over and place the pan in the preheated oven. Roast the breasts for about 15 minutes, or until cooked throughout. Remove the chicken from the skillet and serve warm or chilled. 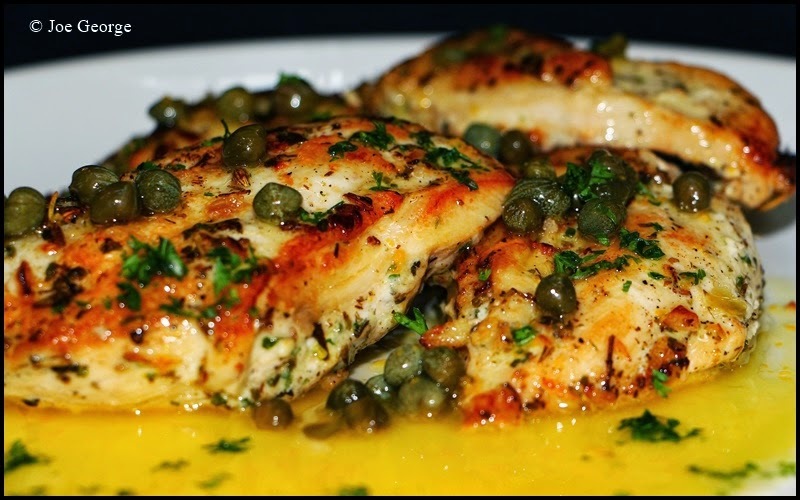 Combine all of the ingredients except the capers in a small bowl and whisk together. Add the capers and refrigerate until needed. Prior to use whisk again. 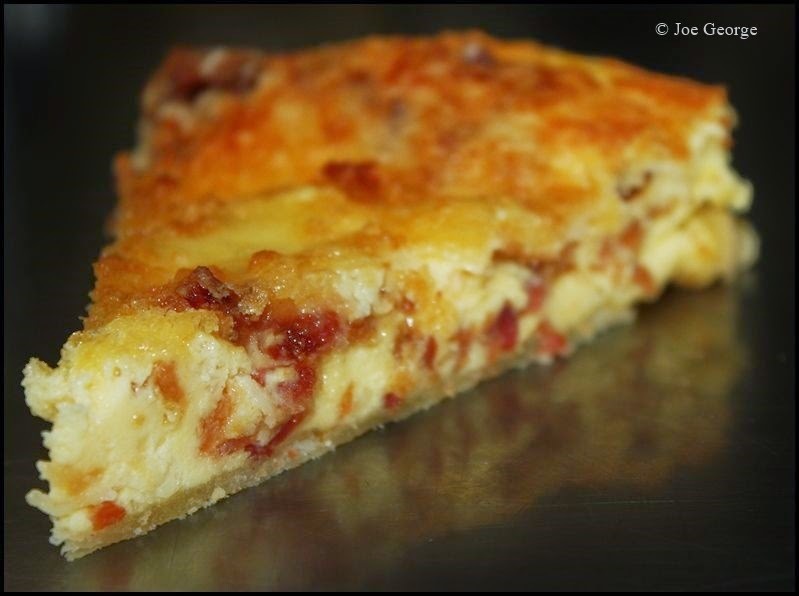 To par-bake a quiche shell: On a lightly floured surface, roll the dough out slightly larger than your quiche pan. Lightly oil the pan and gently transfer the dough to the pan, pressing it to the edges. If the dough breaks simply piece it together. Trim any excess dough that may be hanging over the edge. Then line the dough with foil and fill the quiche with uncooked beans (this is to keep the edges of the dough from falling and the center from puffing as it bakes). Refrigerate the dough with the beans for at least and hour. Preheat an oven to 400F. Bake the quiche shell (still lined with foil and filled with beans) for about 15 minutes, or until the edges of the quiche just begin to brown. Then remove the foil and beans and bake another 5 minutes to cook the center. Combine the ingredients for the court-bouillon in a medium skillet, bring to a boil, then lower to a simmer. Add the potatoes, cover the pan, and simmer for about ten minutes. Add the bundles of asparagus, re-cover the pan, and simmer for another 5 minutes. Remove the potatoes from the court-bouillon (save the court-bouillon for future use, if you'd like) and transfer to a serving platter. 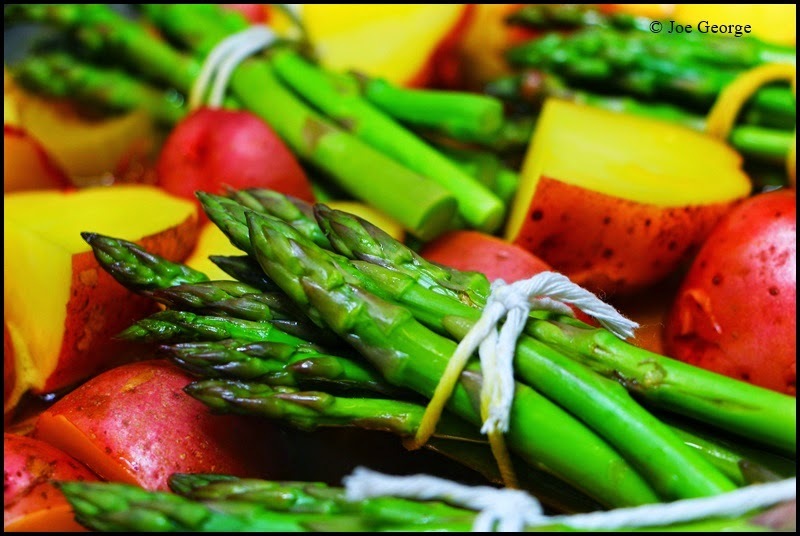 The vegetables can be served hot, at room temperature, or chilled. Place the garlic and the olive oil in a small skillet. Heat the skillet over medium heat until the garlic begins to simmer in the oil. Reduce the heat to low and “roast” the garlic for about ten minutes—turning it as necessary—until thoroughly cooked and golden. Transfer the pan to a refrigerator allowing the garlic to cool in the oil. When the oil is completely cooled, transfer it and the garlic—along with the mayonnaise, lemon, and salt—to a blender, and process until thick and very smooth. Refrigerate until needed.